Anisotropic growth is a hallmark of plant cell growth, which relies on mechanical anisotropic property of the cell wall, in particular, the ordered arrangement of cellulose microfibrils. Cortical microtubules are long known to influence the direction in which cellulose micorfibrils are deposited. However, the mechanism by which microtubules guide cellulose deposition is poorly understood. We use recently identified cellulose synthase interactive proteins to decipher the unknown mechanism. 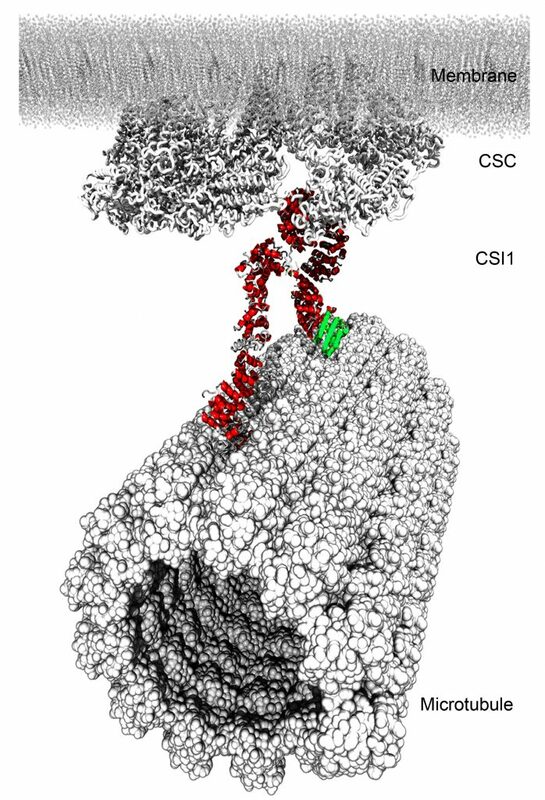 Our lab discovered that cellulose synthase interactive protein 1 (CSI1) links cellulose synthase complex (CSC) at the plasma membrane to the cortical microtubules. With this molecular link in our hand, we now begin to unravel the mystery of regulation of cellulose synthesis, which is critical to the growth morphogenesis of plant cells. Because cellulose synthesis occurs exclusively at the plasma membrane, the endocytosis and recycling of cellulose synthase (CESA) complex is an important mechanism for controlling the steady-state levels of CESA. 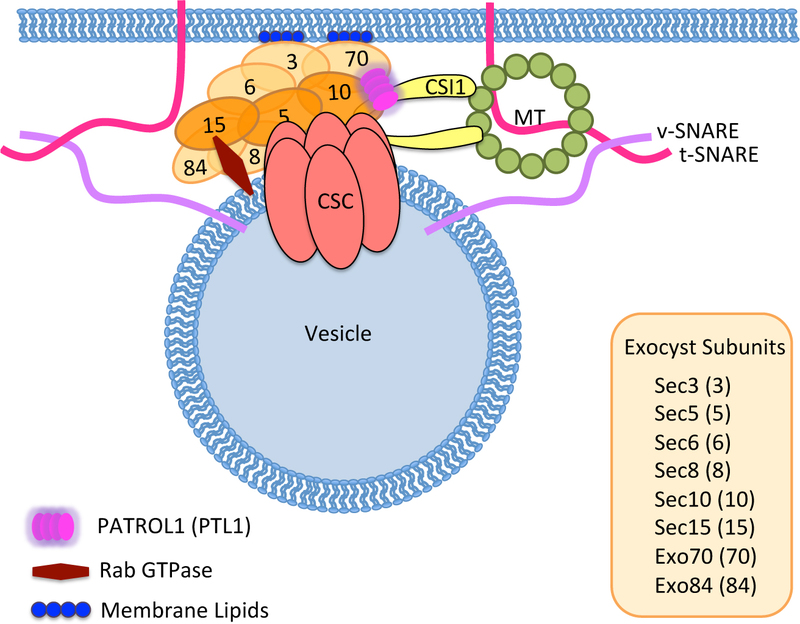 We use cellulose synthase complex, a plant cell-specific cargo protein complex, to understand how endocytosis has evolved and are used by eukaryotic cells for diverse process. In particular, how TWD40-2 coordinate with AP2 adapter complex to regulate the endocytosis and recycling of cellulose synthase complex. 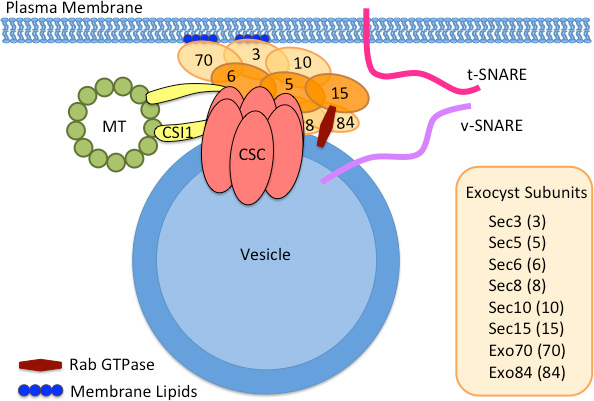 The steady-state levels of CESA are influenced not only by endocytosis and recycling but also by exocytosis. Therefore secretion of cellulose synthase complexes to the plasma membrane becomes an important topic of our research. We use proteomics approaches, functional genetics and live cell imaging to decipher the mechanism of de novo secretion of cellulose synthase complexes. Our lab recently discovered that a plant-specific protein PATROL1 involved in secretion of cellulose synthase complex to the plasma membrane in coordination with exocyst complex. We aim to identify and characterize additional proteins that are important for delivery of CSCs to the plasma membrane.